Action Henk developer RageSquid and publisher No More Robots have announced Descenders. The extreme downhill freeriding game should be on Switch sometime next year. 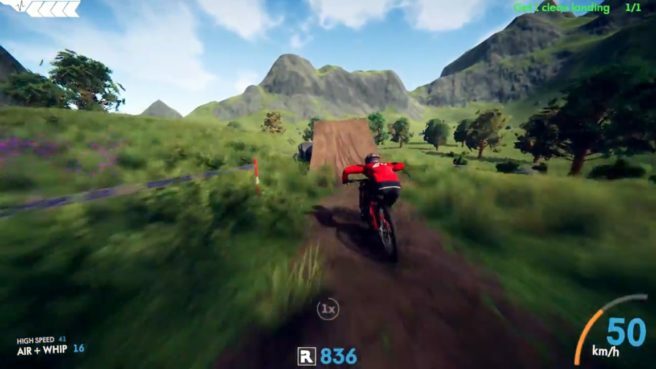 No More Robots says Descenders is “Skate on bikes”. It features procedurally generated worlds, a deep physics system, and a focus on point-scoring tricks. You’ll be able to choose from one of three teams and earn exclusive gear based on your selection. At the end of each month, prizes will be handed out to the top team on the leaderboard. Watch the first trailer for Descenders below.